Back to School time is upon us. The yellow buses are all being tuned up and hosed down, the classrooms are getting that final coat of paint and the teachers are finalizing their lesson plans. It’s also the time for you to make sure your kids have all the supplies they need for a successful and happy school year. These days, though, you need more than just a new pair of jeans, a handful of pencils and a new Trapper Keeper to get your kids ready. Here are our picks for the best – and most affordable – back-to-school tech. These days, a sturdy, reliable computer is a must when it comes to homework, research projects or just keeping in touch with friends from school. For these simple tasks, we recommend the budget-friendly Acer Aspire E1 Windows laptop. Why the Aspire? First of all, we like the 15” size, which has a big enough screen for comfortable viewing, but still lends itself to better battery life, better portability and a lower price tag. We also like the Core i5 processor (for plenty of power), the 4GB of RAM (expandable to 8 if needed) and the 500GB hard drive. Plus, it gets high marks from reviewers for long battery life and good performance for the price and a respectable 4 stars on Amazon. 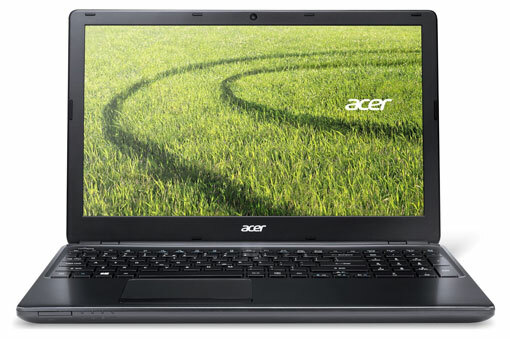 You can find the Acer Aspire E1 for $466.77 at Amazon. Most laptops come with a capable touchpad, but they can be too touchy when there's a lot of typing to do. That’s why we at Techlicious recommend the highly portable Microsoft Arc Touch Mouse. The curious design of the Arc Touch Mouse is actually its best feature. It’s flexible, allowing you to flatten it when not in use for easy storage. Flattening also turns off the mouse, so you won't waste the battery.The traditional mouse wheel is replaced with a small “touch scroll strip,” while the magnetic Nano transceiver easily stores on the bottom of the mouse when not in use. BlueTrack technology, meanwhile, allows the Arc Touch to work reliably on just about any surface – even carpet or rough wood. 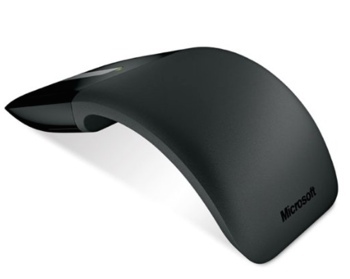 The Microsoft Arc Touch Mouse is available for purchase at Amazon.com for $39.99. Not every student needs a laptop. A tablet can be a better bet if your child needs to take notes or do some word processing and web-basesd research. Plus, a tablet can do double duty as an entertainment device. For a sturdy, solid device that best mixes work with play (and isn't an iPad), we like the 10.1” Sony Xperia Z2 Android (4.4 Kit Kat) tablet. The waterproof and dustproof (IP55/58) Xperia Z2 is just 0.24 inches thick and 15.5 ounces, giving it a sleek and easily portable design that's great for going to class or around the house. It packs a powerful 2.3 GHz quad-core processor and 3GB of RAM for demanding gamers. 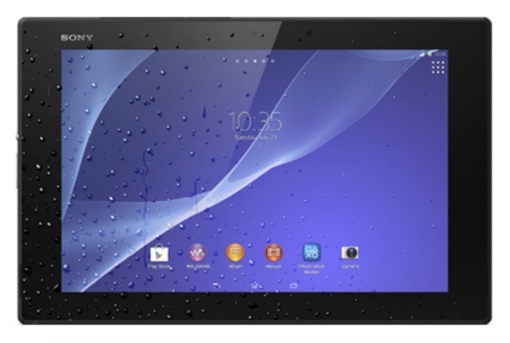 Sony.com is currently offering the 16GB version of the Xperia Z2 tablet for $499.99, which includes a free charging dock for a limited time. Here’s a pretty common problem: Your teen is finally the right age for his or her first cellphone, but the thought of a $650 device being stolen from a locker or left on field after practice has your heart racing with panic. What’s a parent to do? Here at Techlicious, we like the off-contract Moto G 4G ($99 off-contract at Verizon; $219 unlocked at Amazon) – it’s the perfect nexus of power and value. It’s a full-featured 4G LTE phone that runs the most recent build of Android. The device has gorilla glass for scratch resistance, and is water resistant enough to handle a few spills in the cafeteria. Kids, meanwhile, will appreciate the selection of $14.99 OEM shells that allow you to easily and seamlessly change the color of the phone to suit any style. 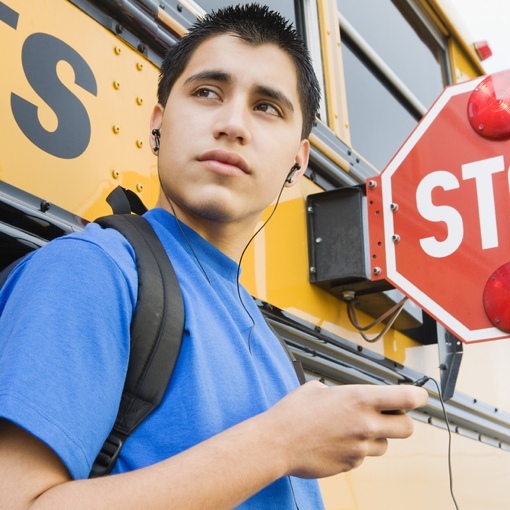 If you send your kids to school armed with a phone “in case of emergency,” then it’s important to make sure his or her phone has enough juice when it really counts. 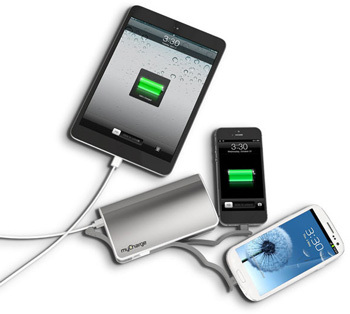 That’s why we like the myCharge Hub 9000, Techlicious’s pick for the best portable battery charger. The myCharge Hub 9000 has micro USB and Lightning connector jacks built in, so there’s no need to clutter backpacks up with easily tangled cables. The 9000 mAh battery charges in just 5 hours when plugged in to a standard electrical outlet, storing enough power to recharge most smartphones between 4 to 6 times. You can find the myCharge Hub 9000 at Amazon starting at $116.99; 3000 mAh and 6000 mAh versions are also available at a lower cost. 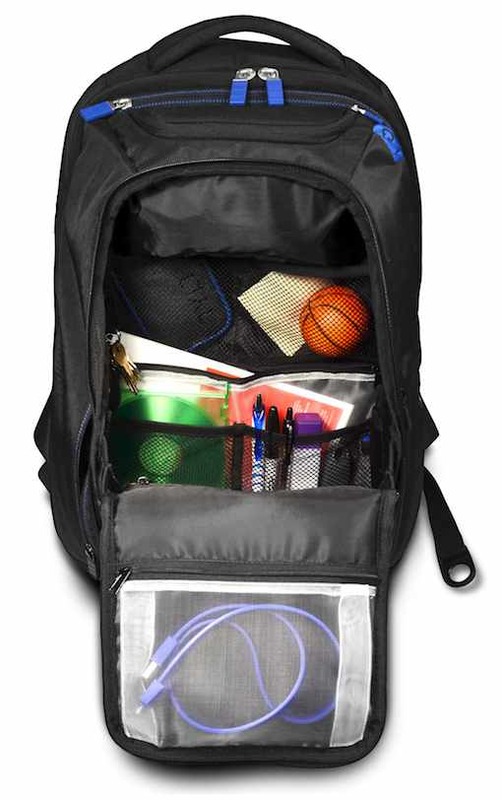 Obviously, no back-to-school list would be complete without a backpack to haul all those books (and gadgets) to and from class. For tech-focused older students, we like the Tylt Energi+ backpack – it’s an attractive carry-all that doubles as a mobile recharging station. The key feature of the Tylt Energi+ is its powerful 10,400 mAh lithium-ion battery and 2 USB ports which allow your kids to charge their power-hungry devices as they move around from place to place. The backpack has a hard-lined pocket for sunglasses, a specially lined laptop pocket that fits and protects computers up to 15”, a side hydration sleeve and plenty of secondary tech pockets for phones and tablets. And yes, the 1,450 cubic inch backpack has plenty of room for books and pencils too. The Tylt Energi+ is available at Amazon for $128.99, and direct from Tylt.com for $199.99. Most kids are experts when it comes to getting dirty. That means their tech gadgets get dirty too. And while it’s easy to wipe down a sticky smartphone screen or set of laptop keys, cleaning a pair of headphones can be incredibly difficult. Incredibly difficult, that is, unless you own a pair of UrbanEars Humlan over-the-ear headphones. The colorful, stylish Humlans quickly disassemble, allowing you to throw its ear covers and headband in with the laundry. Humlans also come with a “Zoundplug,” which allows a friend to plug their headphones in and share the tunes. 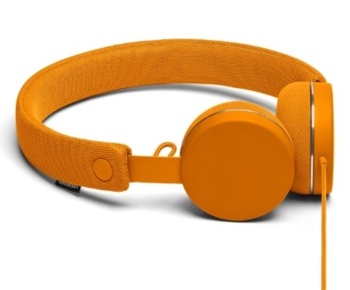 You can find UrbanEars Humlan headphones in a wide variety of bold colors for $45.00 each at Amazon.com. For younger kids, you may want to check out the Etymotic Research EtyKids Safe Listening in-ear headphones ($39.99), which limit sound volumes to kid-safe levels.